Saree :- Bhaglpuri Cotton Silk, Blouse :- Bhaglpuri Cotton Silk, Length :- 6.30mtr(Include Blouse), Work :- Printed. 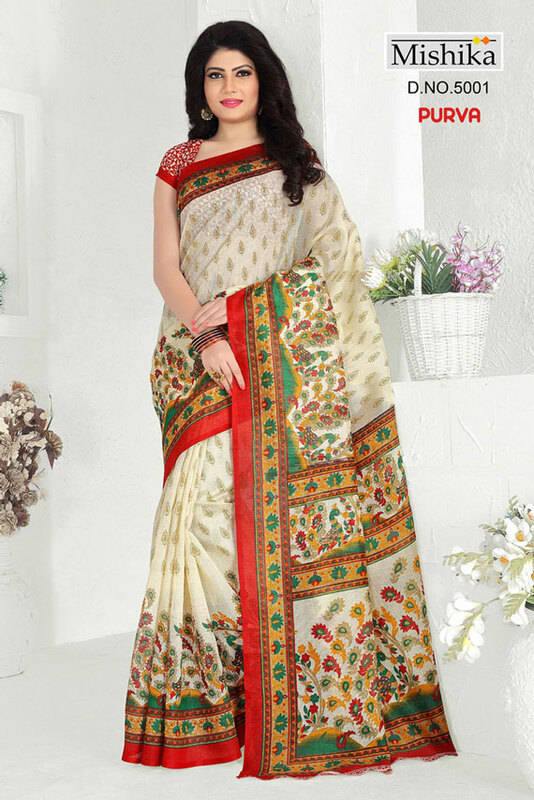 Casual Saree Fabric: Bhaglpuri Cotton Silk With PRINTED, Blouse Fabric: Bhaglpuri Cotton Silk. Saree Length: ( approx length : 5.50 ) mtr. Blouse Length: ( approx length : 0.80 ) .